The law of unintended consequences may soon cause serious collateral damage to Alberta’s tar sands/oil sands ambitions, and the planned Trans Mountain and Keystone XL pipelines. The United Nations International Maritime Organization (IMO) recently approved new, much stiffer fuel standards for the 50,000 ocean-going vessels which currently burn low-grade, high-sulphur oil. Known as Bunker C, it is cheap and dirty. An estimated four million barrels per day are burned in all manner of merchant ships, including oil tankers. The related greenhouse gas emissions roughly equal those from all sources in Germany. But the days of Bunker C are numbered. The fatal bullet will be sulphur-tipped. By 2020, the IMO has mandated that the commercial fleets it represents can only buy and burn ship engine oil with a sulphur content of 0.5%. That is a 700% reduction from the current average. It has been estimated that the 15 largest ocean vessels currently emit as much sulphur annually as all of the world’s cars. And as that massive shift unfolds, Alberta’s tar sands/oil sands production will probably be in the crosshairs. Fleet owners fought the new standard for years, and lobbied hard for the new IMO emission rule to be pushed to 2025 or beyond. (They are now doing the same with pending greenhouse gas emission rules for ships). But they finally conceded defeat when studies proved enough global refineries which “crack” different grades of petroleum can meet the 2020 deadline by either blending in much more low-sulphur oil distillates to achieve the 0.5% standard, or producing much more low-sulphur diesel to replace the Bunker C.
The maritime fleet owners opposed the new IMO emission standard because it will drive up their fuel bills and, in their framing, impede world trade. But many profit-driven refineries around the globe which can supply ship engine fuel are delighted. The stiffer sulphur standard means they can earn much higher margins by blending in quality grades of sweet crude and refinery distillates, or selling low-sulphur diesel, compared to bottom-of-the-barrel Bunker C.
To chase those profits, and stay in the market for four million barrels of ship engine oil per day (with demand growing), many newer refineries are already reconfiguring some units to use much higher volumes of low-sulphur distillates for blending. And major new refineries are being built to produce low-sulphur diesel to replace Bunker C by early 2020. That means about 75% of current Bunker C production will disappear far sooner than thought possible even a year ago. Alberta bitumen will likely be a big loser, because it contains on average some 11 times more sulphur than conventional crude, and results in a high ratio of low-grade Bunker C when refined. As of 2020, according to industry reports, U.S. refinery purchases of diluted bitumen for ship fuel will begin slowing to an eventual trickle, Europe will buy none because it has the wrong refinery profile, and Asian refiners will dedicate new refineries to produce low-sulphur diesel for ship fuel. U.S. refiners have already predicted that future shipments of Alberta bitumen destined for the ship oil market will face even stiffer price penalties because it is more costly to strip out the extra sulphur, and the demand for Bunker C will soon plummet. As refiners are forced to pay more for low-sulphur, sweet crude feedstocks such as those from oil shale, offshore Gulf wells, or imports, they will demand steeper price discounts for bitumen purchases to preserve their profit margins. Refiners have the hammer: they can choose from multiple crude suppliers based on price and quality, and squeeze those that are most vulnerable or expendable. A case in point is the U.S. refining giant Marathon Petroleum, which is on the verge on acquiring its competitor Andeavor for US$23.3 billion to become America’s largest oil conglomerate. Their combined refining capacity will be three million barrels per day. Last year, Marathon sold off its Alberta tar sands/oil sands assets for $2.5 billion, and took a related $5-billion write-down on its balance sheet. On the same day, Royal Dutch Shell sold its tar sands/oil sands assets for a combined cash and share value of $5.8 billion. Earlier, ExxonMobil took a write-down on tar sands/oil sands tracts said to hold 2.8 billion barrels. Other multinationals which have recently abandoned the tar sands/oil sands include the French conglomerate Total S.A., Houston-based ConocoPhillips, and Norway’s state-owned oil company, Statoil. Most, like Marathon, have since bought into oil plays and projects which feature low-sulphur, low-carbon, low cost per barrel deposits linked to existing pipeline and refinery systems, or ocean ventures such as those off the U.S. Gulf coast, Norway, or Newfoundland. Once Marathon’s takeover of Andeavor is completed, it will own the largest continental system of shale and sweet crude wells, pipelines, refineries, marine ports, and outlets for products such as gasoline, home heating oil, and jet fuel. It will configure refineries to process whatever products garner the highest margins. So will its major U.S. rivals Valero and ConocoPhillips. Buying more bitumen will likely be last on their list. Ditto for future bitumen shipments to America’s largest refinery, the former Royal Dutch Shell complex in Texas. It is now fully owned by Motiva, a subsidiary of Aramco, the state oil company of Saudi Arabia. Last year Aramco bought out Shell so that it could lock in future volume shipments of low-sulphur Saudi crude to produce 600,000 barrels per day of high-grade oil products for the U.S. market or re-export. A similar picture holds true in Asia. In a strategic move to protect its global oil market share, Saudi Arabia recently signed deals to co-own and help finance two new world-scale refineries in Malaysia and India. It has invested $7 billion in the Petronas RAPID oil refinery south of Kuala Lumpur, which is slated to open in 2019. In return, the Saudis will retain rights to supply at least half the unrefined crude (and possibly up to 70%) needed to produce 300,000 barrels of low-sulphur diesel and gasoline per day. It is poised to capture a large part of the Asian ship oil market, because nearby Singapore is a major tanker hub and ship fuel storage site. Saudi Arabia has the world’s largest high-quality oil reserves, and can ship from tidewater to tidewater port in oil tankers capable of holding two million barrels in a single cargo. It recently signed a $44-billion deal to build a new refinery on India’s west coast. It will be capable of refining 1.2 million barrels of low-sulphur diesel and gasoline per day, supplied by Saudi sweet crude and supertankers. Aramco has also bought into refineries in China, Japan, Indonesia, and South Korea. 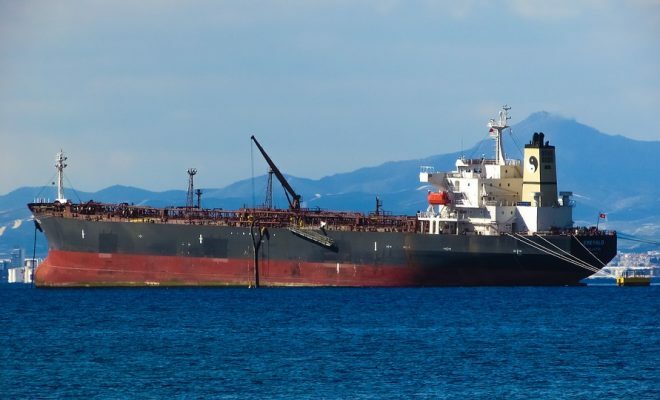 There is no chance an Aframax oil tanker leaving Vancouver with a maximum load of 580,000 barrels of bitumen can compete on price with a supertanker coming from Saudi Arabia to the same Pacific port with two million barrels in a single cargo. Nor can Alberta bitumen match the quality and price of low-sulphur crude delivered by Saudi supertankers to its new or planned Asian refineries. That means being totally shut out of 1.5 million barrels per day in potential new exports, just to Malaysia and India. Prospects for Alberta bitumen sales to China are equally bleak, for multiple reasons. First, sulphur-laden heavy oil will not be welcomed in the region where most of China’s refineries operate, because air pollution levels there are already deadly. The notorious “teapot” refiners are already facing new orders from Beijing to import low-sulphur crudes and produce far cleaner fuels for ships, vehicles, and even tractors. Importing bitumen with sulphur content 11 times higher than conventional crude would sabotage that cleanup campaign—and potentially put “teapot” executives in prison. In fact, China’s refinery sector is now poised to become a leading Asian producer of low-sulphur fuels, and two new tidewater mega-refineries will hasten the closure of older, more polluting rivals in that country. Third, contrary to popular belief, China is now a formidable exporter of oil and petroleum-based chemical products. A recent surge in new refinery and chemical plants has allowed it to convert cheap imported oil into value-added products such as diesel, gasoline, jet fuel, and chemicals which are then often sold outside China to garner the highest margins possible. The country has moved swiftly and strategically to lock in long-term oil imports at low benchmarks, from countries such as Russia, Kazakhstan, Iran and Iraq, so that its strategic oil reserves are constantly full for refineries to draw upon. Playing hardball, China has recently curtailed oil imports from Saudi Arabia because cheaper options are available! Canadian bitumen is certainly not one of them. Sometimes answers to very puzzling questions, particularly those involving politicians, can stay obscured by hiding in plain sight. Exactly which Asian countries or refiners have signed long-term contracts to purchase more Alberta bitumen for decades to come? Exactly how much have they committed to pay per barrel delivered? A thorough scouring of documents filed by Kinder Morgan to win the National Energy Board’s conditional approval for its Trans Mountain pipeline expansion shows these questions were of no interest to the pipeline company. It did not ask them, nor did the NEB. So no specific evidence was supplied by the tar sands/oil sands producers. Kinder Morgan, it seems, only cared what tar sands/oil sands companies were prepared to pay, in the form of long-term pipeline leases to push through another 600,000 barrels of diluted bitumen per day. It also wanted enough customers to keep the pipeline filled for decades, and earn a good profit as fast as possible. The Alberta tar sands/oil sands producers wanted an assured pipeline to Vancouver built with someone else’s capital, and future protection against potential price gouging. So very complex contracts were drawn up to protect both parties. There were negotiated lease rates and benchmarks, penalty clauses, backout clauses, and dispute settlement mechanisms set out. This is standard industry practice. The NEB eventually endorsed the terms, including provisions that Kinder Morgan would not be bound to complete the Trans Mountain pipeline unless long-term lease revenues were certain. In turn, the tar sands/oil sands producers could walk away if Kinder Morgan failed to complete the pipeline by a fixed date. Again, these are standard industry protection clauses. But no one seems to have asked, or dared to ask since, who in Asia will be buying—not extracting or pipelining—600,000 more barrels of Alberta bitumen per day for several decades. This is the key third corner of a triangle of contracts needed to make the Trans Mountain pipeline expansion financially viable. If the tar sands/oil sands producers have signed such contracts, they have not published details. If Asian countries or refiners have signed them, the details have not appeared in government, corporate or industry trade reports. The Canadian banks which have made major loans to tar sands/oil sands projects and related pipelines have not disclosed specific details in their quarterly reports and investment circulars. If Alberta Premier Rachel Notley has seen such contracts with Asian customers, she has not released or even summarized them. Nor has federal Finance Minister Bill Morneau, nor has Prime Minister Justin Trudeau. Curiously, none of these politicians has claimed they’ve seen proof of such Asian contracts, before quickly adding they cannot disclose the terms because of commercial confidentiality reasons. One explanation is that no one can see, or conceal under a cloak of confidentiality, contracts which simply do not exist. Just last week, Morneau assured the Ottawa press corps that even if Kinder Morgan abandons its Trans Mountain project on May 31, angel investors are standing by to swoop in and convert an albatross into an acclaimed success. And he promised, if that occurs, that there’s a fat federal cheque waiting for potential pension fund patrons. He apparently did not read the memo citing all the global banks, insurance companies, and major pension funds which have already vetoed future tar sands/oil sands financing. To be fair, it is a very long memo. So Morneau declined to identify those Hail Mary miracle workers, or any committed Asian buyers for Alberta’s bitumen. Once again, the mainstream media routinely failed to ask the two questions any small-town bank manager or accountant looking over a business plan would insist on: Where is the proof you have customers, and proof of what will they pay? Perhaps the deafening silence from Finance Minister Morneau, the man who controls Canada’s finances, is the telling answer. Or perhaps it came last year when Norway’s Statoil, ExxonMobil, Marathon Petroleum, Total S.A., ConocoPhillips, Royal Dutch Shell, and Koch Industries sold off some $22.5 billion in Alberta bitumen assets that they were wiser to dump at a steep loss than to keep.